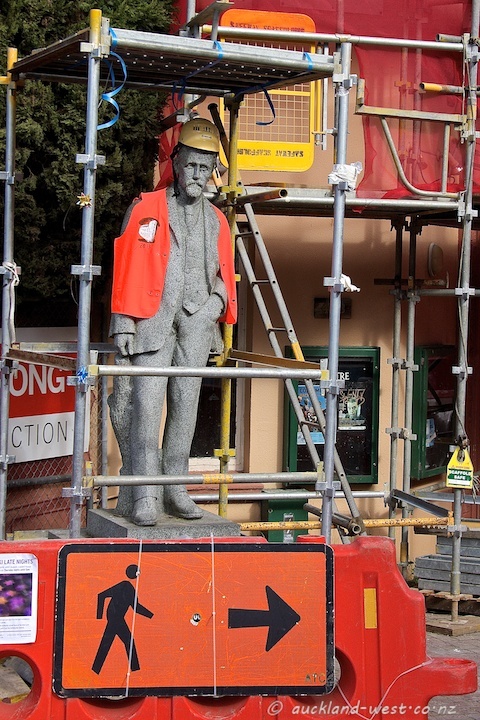 Henry Atkinson (the statue) has seen its fair share of embellishments (for example here and here), but this time it is industrial strength! 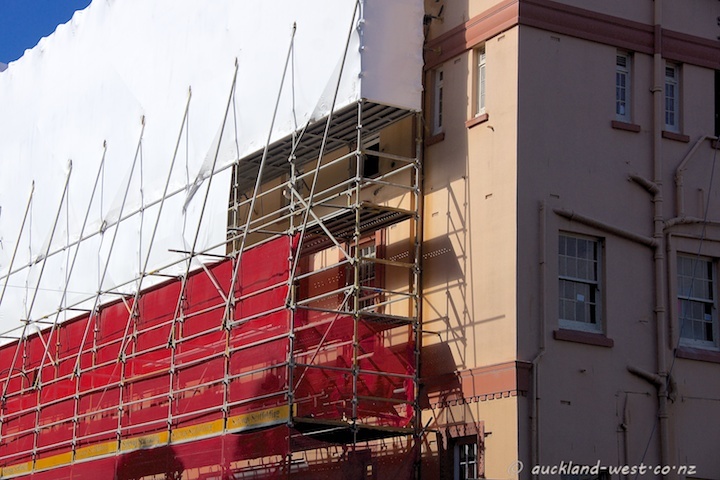 In the course of earthquake reinforcements (combined with building extensions) of Lopdell House, the facade was recently enshrouded in scaffolding and shrinkwrap. And finally it appears that Henry got a cubicle of his own to keep him safe during that time.